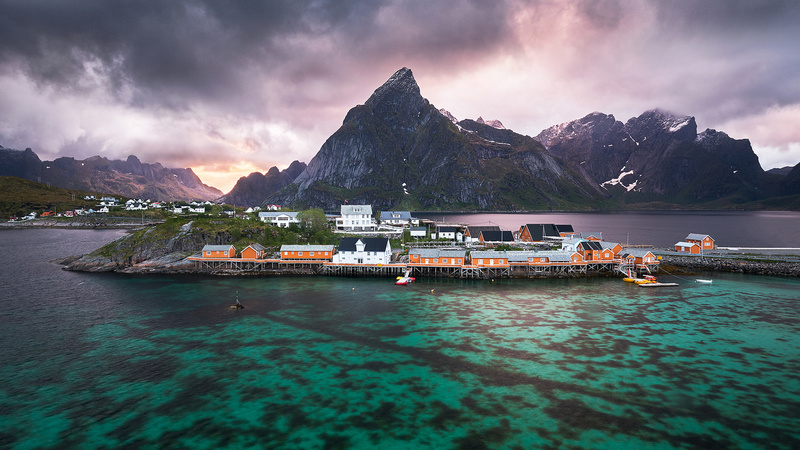 This shot was taken at midnight in Sakrisøy in the Lofoten Islands of norway. The conditions were quiet complicated to shoot, in 5 minutes we had, rain, fog on the mountains completly grey sky ... and 1min30 of impressive light. Right after this 1min30 the weather became as grey and rainy as it was before the shot, and so for the whole "night".